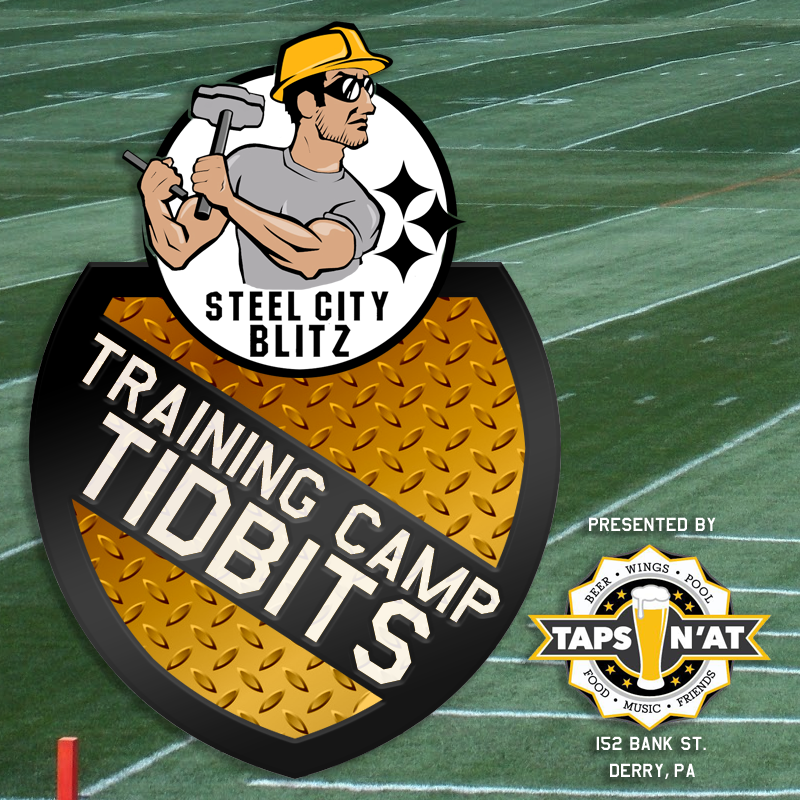 Welcome to the new Steel City Blitz Steelers Training Camp Tidbits presented by Taps N’At! This is a brand new feature this year and every single day from now until the end of Camp you’ll see tidbits right here. Our goal is simple; provide you with everything we are seeing, hearing and learning from St. Vincent College in Latrobe. This will be an abbreviated piece as the Steelers practice later than usual today. Latrobe Weather for Saturday: 84 degrees and sunny! Latest injury news… Bud Dupree is reportedly in concussion protocol. Darrius Heyward-Bey has a back or neck injury… Chucks Okorafor had a shoulder injury and Coty Sensabaugh also has a back issue. 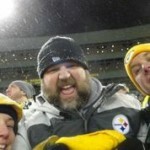 Head Coach Mike Tomlin stated that he believed none of these were severe. Markus Tucker, who seems to have the best chance to be in the slot behind JuJu Smith-Schuster, was held out last night with a foot injury. Important Coach T Comment of the Week: Don’t read too much into when a guy “works with the ones.” Damoun Patterson got such an opportunity last night and people were assuming he had elevated up the depth chart. 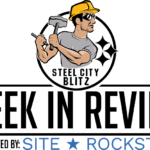 That may happen but a of right now it’s simply about seeing guys work with other guys. James Conner continues to have an outstanding camp. He drew rave reviews for his protection in ‘backs on backers’ last night. 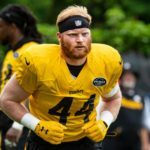 Coach Tomlin noted Conner’s “demeanor” which was very positive. He also had some excellent runs as well. Rookie Jaylen Samuels, who has looked good in all facts EXCEPT pass protection rebounded nicely with some solid pass protection last night. Guys who had been out recently, Alejandro Villanueva, Morgan Burnett and Sean Davis, all participated last night. Good to See: Ramon Foster who has been out with his injury was on the field with his teammates last night albeit not in a participatory sense. He had a pretty good size brace on that injured knee. And of course Ryan Shazier who drew some of the biggest crowds last night. He continues to walk at a tentative pace but to me, he looks more and more confident with each step. Vince William’s ‘Stone Cold’ vest continues to be the coolest things at Camp. 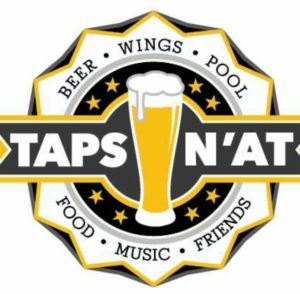 If you’re heading to Camp today, make sure you add Taps N’At to your itinerary! They are just down the road and have a cold beer and great food waiting for you!